Asiad Steels is one of the popular suppliers and manufacturers of INCOLOY X-750 Stud Bolts, which are designed to have exceptionally high strength and creep-rupture properties at higher temperatures and pressures. INCOLOY X-750 Threaded Rods (also known by their UNS N07750 fasteners) are a nickel-chromium alloy that is precipitation hardened. Superior quality INCOLOYX-750 Threaded Bars has close tolerances and excellent finishes to meet the high-end industrial requirements. We supply highly reliable INCOLOY X-750 Tie Rods are available in various sizes and dimensions as well as materials and their grades. These standard engineered INCOLOY X-750 Tie Bars have a great resistance towards heat and corrosion. Since then, our focus on the production of high quality of INCOLOY X-750 Double Ended Studs at competitive pricing has allowed us to become an industry leader. These precision engineered Alloy X-750 Threaded Rods also feature close tolerances and come in different dimensions and other material grade choices so as to meet the specific client's requirement. 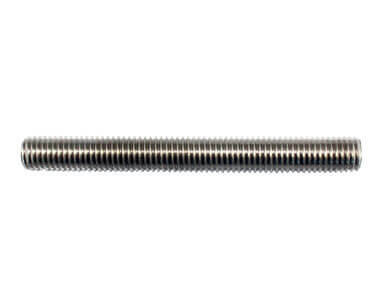 Silent features of Alloy X-750 Threaded Bars are Zero error fasteners with close tolerances and excellent finishes, Torque free, great resistance towards heat and corrosion & High strength and creep-rupture properties at higher temperatures and pressures. Alloy X-750 Tie Bars are available in many different types and have an excellent resistance to corrosion. Alloy X-750 Tie Rods is used in gas turbines, rocket engines, nuclear reactors, pressure vessels, tooling, and aircraft structures. In addition to being an ISO certified fastener manufacturer for Alloy X-750 Double Ended Studs, we were awarded “Corporate Supplier of the Year”. 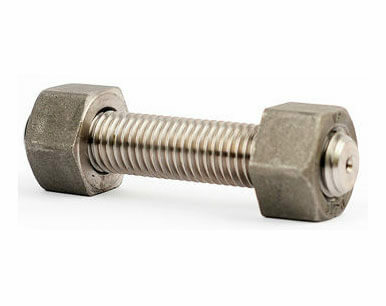 Buy Alloy X-750 Stud Bolts at reasonable rates from us. We are Exporter of Incoloy Alloy X-750 Studbolt in Worldwide Such as India, Lithuania, Ukraine, Romania, Israel, Zimbabwe, South Korea, Iran, Macau, New Zealand, Costa Rica, Colombia, Namibia, Sweden, Czech Republic, Philippines, Nigeria, Australia, Egypt, Hungary, Austria, Oman, Bulgaria, Poland, Trinidad & Tobago,Tunisia, France, Turkey, Netherlands, Nigeria, Greece, Serbia, Libya, Mexico, Russia, Qatar, Italy, Gabon, India, Mongolia, Estonia, Azerbaijan, Brazil, Malaysia, Iraq, Vietnam, Chile, Taiwan, Indonesia, Nepal, United States, Angola, Germany, Thailand, Bolivia, United Arab Emirates, Finland, South Africa, Bangladesh, Lebanon, Tibet, Denmark, Hong Kong, Kazakhstan, Bahrain, Norway, Chile, Yemen, Sri Lanka, China, Belgium, Poland, Ecuador, Iran, Ghana, Singapore, Afghanistan, Japan, Kenya, Slovakia, Mexico, Bhutan, Algeria, Pakistan, Jordan, Gambia, Ireland, Argentina, Switzerland, Peru, Morocco, Kuwait, Croatia, Venezuela, Portugal, Canada, Belarus, United Kingdom, Spain, Saudi Arabia, Puerto Rico. 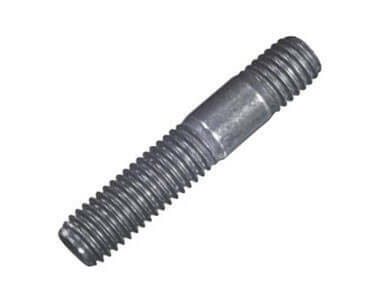 We are Suppliers of Incoloy X-750 Stud bolt in India Such as Mumbai, Montreal, Indore, Granada, Geoje-si, Kanpur, Busan, Kolkata, Rajkot, Doha, Muscat, New Delhi, Perth, Navi Mumbai, Vung Tau, Baroda, Moscow, Hyderabad, Al Khobar, Bogota, Mumbai, Jamshedpur, Bangkok, London, Dubai, Manama, Secunderabad, Lahore, Faridabad, Calgary, Rio de Janeiro, Pune, Courbevoie, Pimpri-Chinchwad, Karachi, Ankara, Gimhae-si, Lagos, Aberdeen, Abu Dhabi, Los Angeles, Dallas, Visakhapatnam, Surat, Tehran, Petaling Jaya, Haryana, Ernakulam, Algiers, Ho Chi Minh City, Colombo, Istanbul, Coimbatore, Jeddah, New York, Caracas, Hanoi, Kuala Lumpur, Bhopal, Nagpur, Chandigarh, Santiago, Seoul, Mexico City, Ahvaz, Nashik, Madrid, Riyadh, La Victoria, Vadodara, Howrah, Chiyoda, Ahmedabad, Jaipur, Chennai, Noida, Gurgaon, Thane, Edmonton, Dammam, Kuwait City, Brisbane, Toronto, Sydney, Milan, Thiruvananthapuram, Bengaluru, Sharjah, Al Jubail, Ranchi, Port-of-Spain, Ludhiana, Singapore, Houston, Jakarta, Ulsan, Hong Kong, Cairo, Atyrau, Melbourne.